AbRam is one of the most popular star kids of B-Town who always been in discussion for his activities. Whenever any picture of AbRam comes on social media platform it goes viral. Now Shah Rukh Khan's wife Gauri Khan shared one picture of AbRam that is very cute. Actually recently, Shah Rukh went on vacations taking his son AbRam where both were seen enjoying a lot. Like always this time also AbRam is looking cute and even father Shah Rukh is enjoying with him at the vacations. Besides this SRK also shared one video of him and AbRam in which they can be seen doing skating. This video has already been viral on social media and there is no doubt that AbRam is Shah Rukh's dear child. AbRam is someone who is quite popular and people wants to see his pictures and stories. 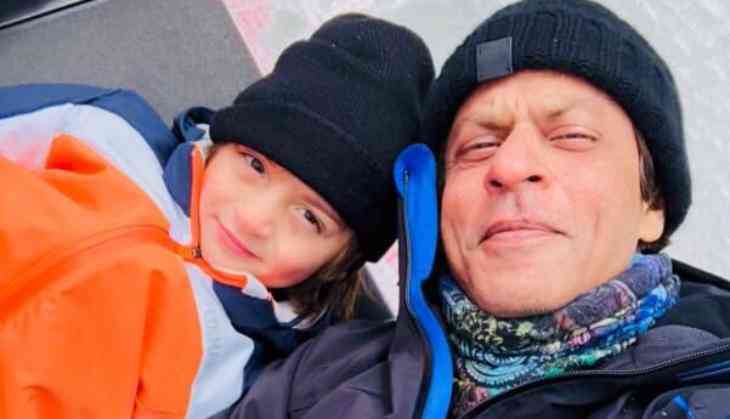 Shah Rukh himself accepts that his son AbRam is much friendly to media than Aryan and Suhana, AbRam never hesitates how many cameras are capturing him. SRK feels that AbRam's stardom is not lesser than him. On the professional front these days SRK is busy in the shooting of his new film Zero directed by Aanand L Rai and then he will start the shooting of biopic film called Salute that will be made on Rakesh Sharma. His new film Zero will release on 21st December 2018.